1. A pack of out-of-this-world erasers you'll clear out desk space for immediately. 2. A Groot container or planter for all your paperclips, push pins, or plants. 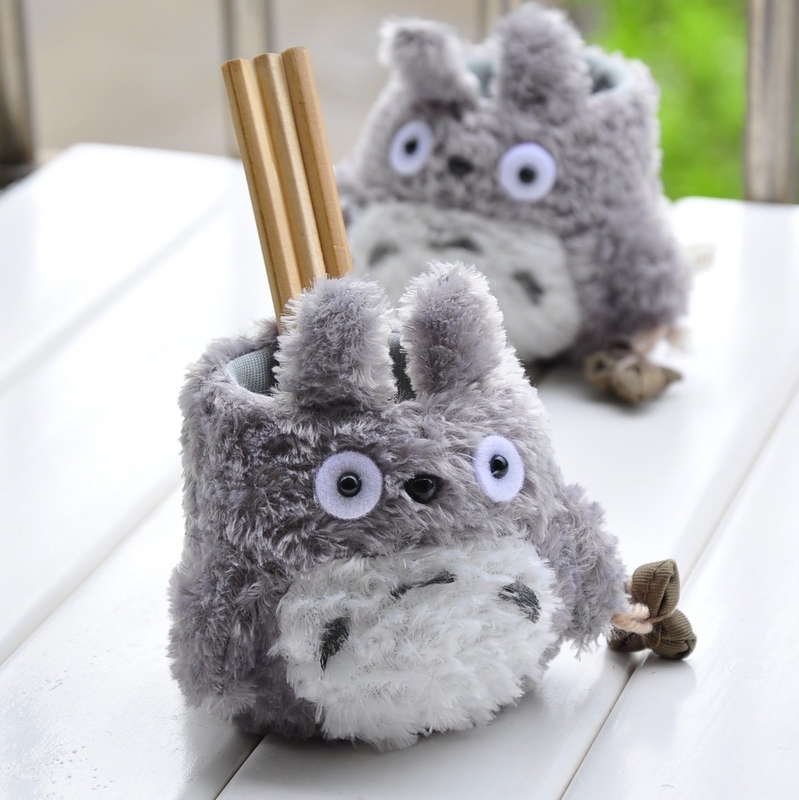 It comes with a lid that can be removed if you want to use it as a pen cup or planter. 3. A pack of magnets to level up the look of your filing cabinet. Get a set of 18 from Amazon for $11.19. 4. A roll of super adorable washi tape featuring all the tasty treats from Steven Universe. Get it from NutCaseArtShop on Etsy for $1. 5. 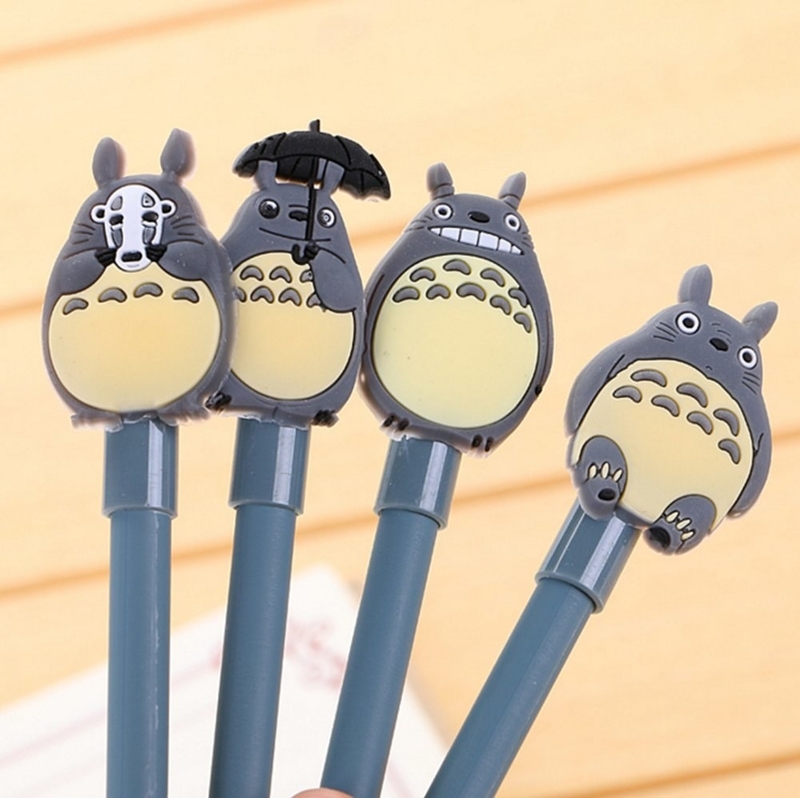 A pack of Totoro pens and a matching, fuzzy pencil cup to put them in! Get the pack of 14 pens for $14.90 or the cup for $9.99 from Amazon. 6. A Marauder's Map mousepad so you can quietly say "I solemnly swear that I am up to no good," before goofing off at work. 7. A pack of glow-in-the-dark kodama sprites to scatter around your desk so you can feel like the Forest Spirit lording over the woods. Get a pack of five from Amazon for $3.80. 8. A Spiderman journal that just makes (spidey)sense to buy. Get it from Walmart for $17.43. 9. A Harry Potter decal for your laptop or car. It won't make your car fly, but maybe going to work will be a little more exciting? Get it from Amazon for $2.85. 10. A Death Star mousepad that'll blow all other mousepads out of the sky. 11. 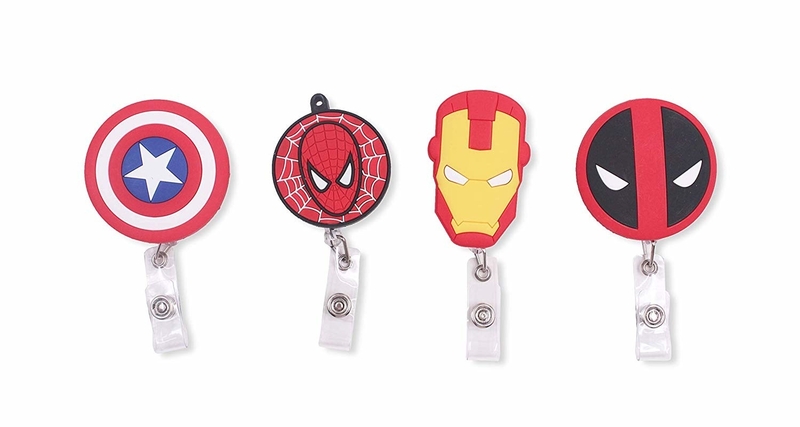 Retractable card holders in a variety of different shapes, from super heroes to Pokémon. You gotta collect 'em all! Get a pack of four or five from Amazon for $14.99+ (available in 18 styles). 12. Harry Potter magnetic bookmarks to hold your place so well, it'll seem like magic. Get a pack of eight from Amazon for $9.98 or four from Box Lunch for $6.90. 13. A Star Wars-themed sticky note set so you can properly mark your food in the fridge. One more stolen lunch and you might go over to the dark side. It comes with three notepads and a pen. 14. A pack of Gudetama pens that look how we all feel once that 4 pm slump hits. Get a pack of five from CaribouMilk on Etsy for $8.50. 15. A DC-themed sticky note booklet featuring your favorite comic book icon. It comes in four different styles: Batman, Green Lantern, Joker, and Wonder Woman. Each booklet comes with two sticky notepads and four sticky tabs. 16. A Mario calendar with interchangeable date blocks that'll have you jumping for joy. Just switch out or rotate the blocks until they say the right date, or a fake date that you made up, like March 31st. 17. A hilariously weird Deadpool mousepad you might want to keep at your home office. Get it from Amazon for $19.77. 18. An Undertale decal to slap onto your laptop while playing Deltarune— I mean...working. Get it from TheStickySnail on Etsy for $2+ (available in 9 characters, 7 sizes, and 18 colors). 19. A No Face tumbler so you can stay hydrated, whether you're chowing down in a bath house for spirits or just working hard on a Powerpoint. 20. A squeaking adorable Pachimari light any Overwatch fan would love to keep on their desk. 21. A pack of Rick and Morty erasers featuring members of the Council of Ricks. Get a pack of six from Box Lunch for $12.90. 22. Iridescent D&D dice decals you'll really take a shine to. Get a set of six from ThePlayfulStudio on Etsy for $6+ (available in two sizes). 23. A Captain's Log journal to boldly write work notes that no co-worker has written before. Promising review: "This is a great quality notebook. I bought it mainly as a scorekeeper notebook for my Star Trek Frontiers and Star Trek Fleet Captains Board Games; it's a great accompaniment. It is nicely put together with a few nice astrophysics-themed statistics and figures, and quotes from all the series' captains." —J. 24. A Doctor Who Sonic Screwdriver set decal for timey-wimey adventuring on the internet. Get it from DGMarket for $3.54+ (available in sizes 3"–20" and 18 colors). 25. A floating Lydia pen so you can recreate the iconic ending scene of Beetlejuice whenever you're stuck in a boring meeting. Get it from Hot Topic for $5.52. 26. A Minecraft potion lamp that cycles through eight colors. It may not heal you or grant you fire resistance, but it'll make your desk look pretty cool. 27. 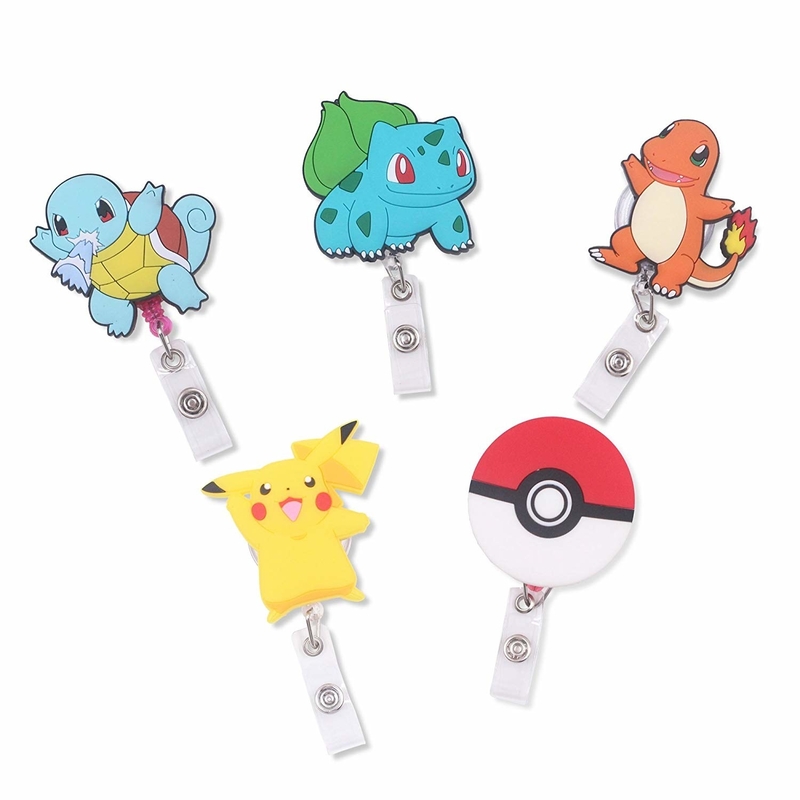 And a Pokémon-shaped cable protector so you can say "Pikachu, I chew-se you! ...to help keep the end of my cable from fraying." Get it from PrettyAccessory on Etsy for $6.04 (available in five characters).